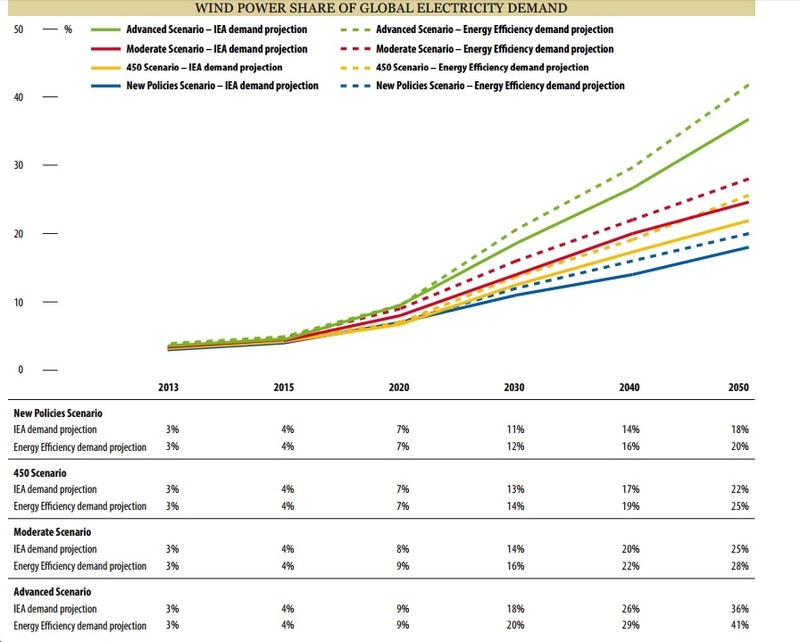 The International Energy Agency (IEA) has long been criticized for its renewable energy forecasts being (far) too low. 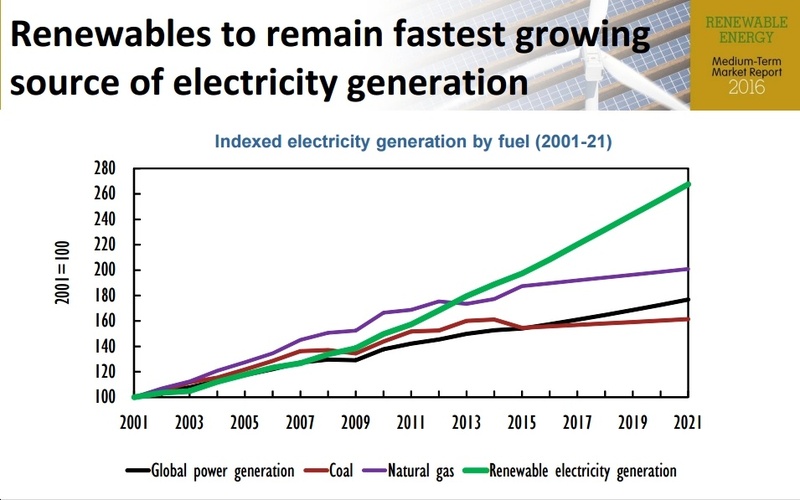 Now, it appears the IEA is finally moving to correct its many years of underestimating clean energy scaling potential. Thus, a few days ago, IEA's spokeperson said that his agency "has significantly raised its estimates for the deployment of renewables compared with previous years reflecting major changes in energy policies around the world, such as the adoption of the Paris Agreement.” And today, the IEA is out with its new Medium-Term Renewable Market Report, which may mark a "turning point" in clean energy growth forecasts, due to "rapid decline in costs and strong political support in key countries, such as the U.S. and China." The Global Wind Energy Council (GWEC) is out with the sixth edition of its annual Global Wind Energy Outlook, "looking at the future of our industry out to 2020, 2030 and ultimately to 2050." The full report is available for download at GWEC's website, but for now, here are a few highlights (bolding added for emphasis) and graphs. 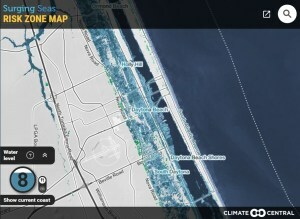 It looks like the most dire potential impacts of Hurricane Matthew have been largely avoided, at least in Florida, but check out this post by Climate Central for a reminder of what type of storm surge potential a climate-change-fueled superstorm brings with it. The first image is of Daytona Beach, and the second (see below) is of Savannah, Georgia. Energy storage continues to boom, along with clean energy; check out this exciting news! Vestas CEO Anders Runevad: "The future belongs to clean energy"